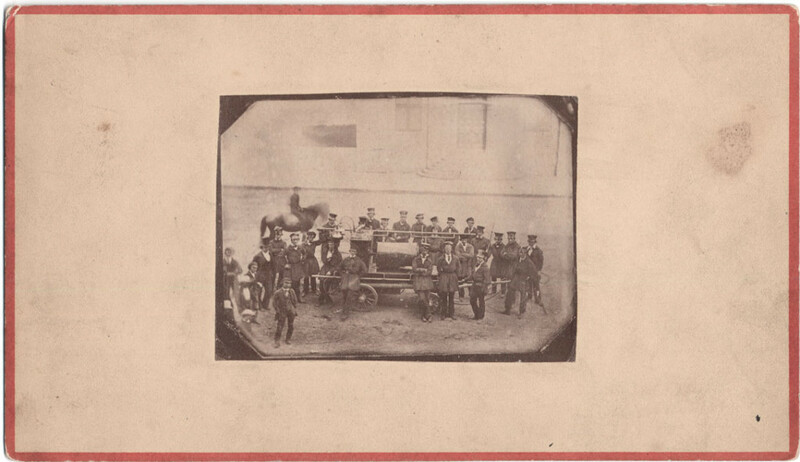 Description: Old no.2 Engine Co. in front of old session rooms on east side of Woodward Ave. about 1849. 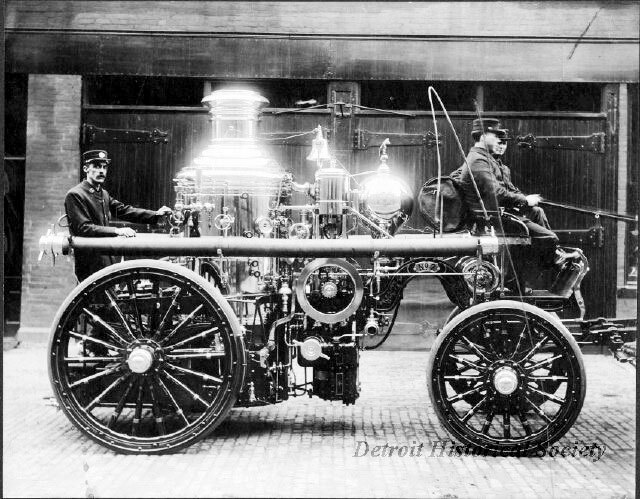 Description: Steam Fire engine No. 2, placed in service January 7, 1861. Circa 1890.